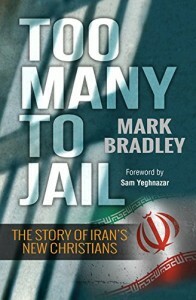 This book details the rapid rise of Christianity in Iran, particularly showing the spiritual hunger and growth of the house church movement with identity-protected stories of courageous converts from Islam, persecution, and other aspects of the Iranian house church experience. There is also a great deal of history of Iran’s Islamic political and religious atmosphere, and how this environment has ironically influenced many to look toward Christianity. This book is well researched and extremely informative, while also being easy and enjoyable to read. The author writes from a balanced perspective that is consistent with the other Middle Eastern Christian voices that I have heard over the years. He reveals how the citizens of Iran have responded to the actions of their country, and why they have the spiritual desire and courage to risk everything to leave the religion of their heritage and join the dangerous movement of house-church Christianity. How is it that the church grows the most under some of the severest persecution? I was encouraged to read of the amazing things going on among Iran’s new Christians, and hope this book will inspire many in the western world to pursue radical faith as well.